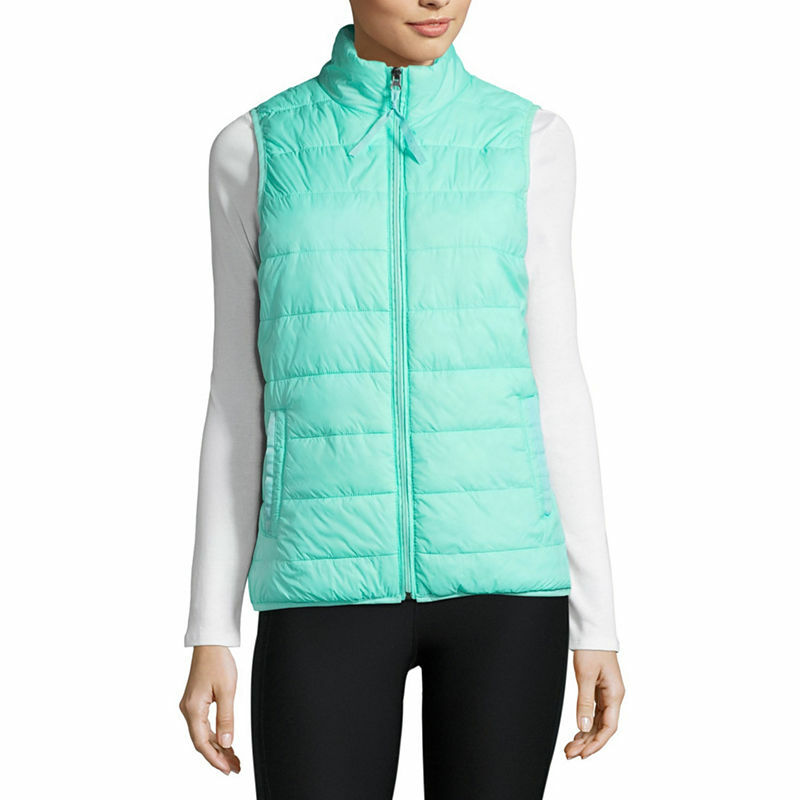 This Xersion Packable Puffer Vest will keep you both stylish and warm. Machine washable. $44 Sale $26.40. Buy here. 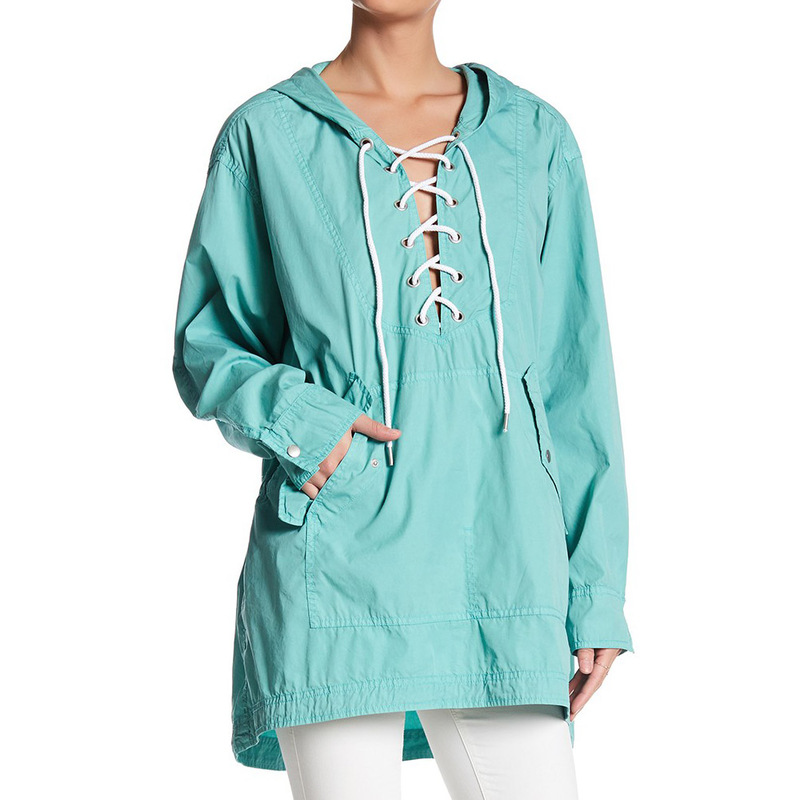 This Free People Popling Lace Up Pullover features a split neck with lace up tie, kangaroo pocket with snap button flaps and an adjustable hidden toggle waist. $168 Sale $67.20. Buy here. 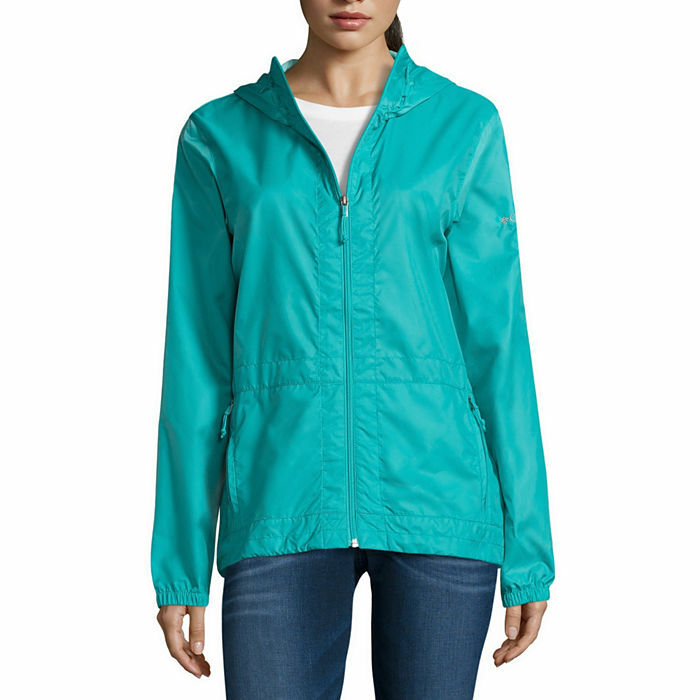 Wet weather’s no problem in this turquoise Columbia Rain to Fame Waterproof Hooded Jacket, made from waterproof nylon taffeta with an adjustable storm hood to help protect you from downpours. $65 Sale $29.99. Buy here. Ancient and organic forms shift and swirl over this floral jacquard long cardigan Spanish Moss Sweater Coat, accented with filigree buttons and a flattering stand collar. $168. Buy here. You’ll love snuggling into the exaggerated shawl collar of this so-soft, fully fashioned Teal Telluride Topper from Soft Surroundings with wrist length raglan sleeves and turnback cuffs, in an attractive longer length. 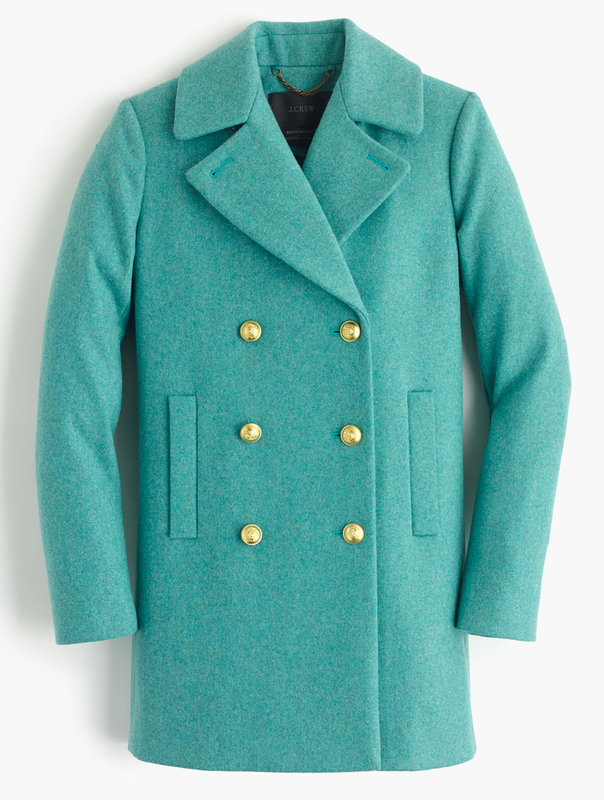 Lightweight but warm acrylic/mohair/wool, it’s a perfectly chic layer. $118. Buy here. 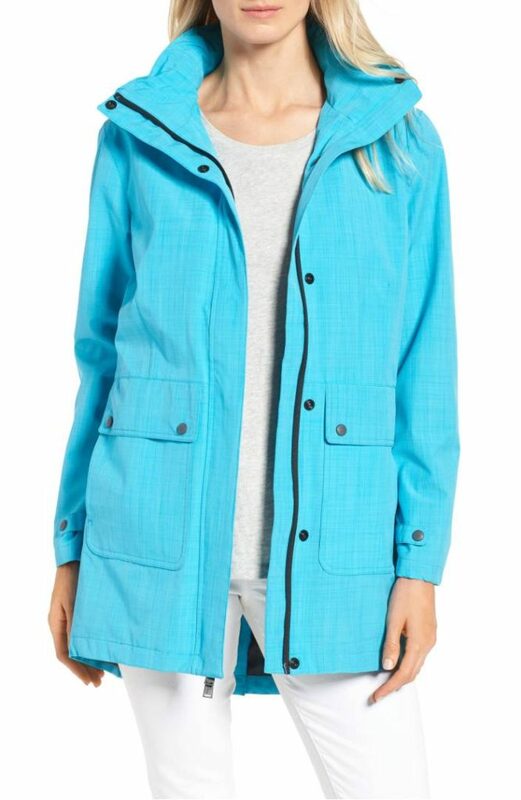 Be the bright spot on grey days in this durably constructed Pendleton Turquoise Golden Gate Anorak that keeps out the wet with a water-resistant shell and neck-protecting stand collar with stowaway hood. $178 Sale $119.90. Free shipping. Buy here. This Under Armour UA Coldgear Infrared Softershell Jacket uses a DWR finish to repel water without sacrificing breathability. Windproof construction shields you from the elements. Durable, bonded 3-layer softshell material has a quiet outer layer & superior stretch. $149.99 Sale $103.99. Buy here. 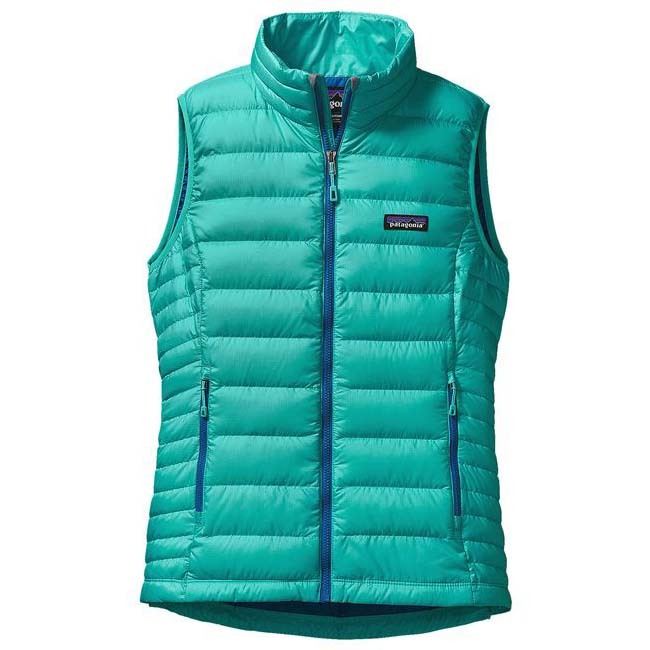 The perfect warmth for just about everything, this classic Down Sweater Vest is lightweight and windproof with a 100% recycled polyester ripstop shell and 800-fill-power Traceable Down. $179. Free shipping. Buy here. 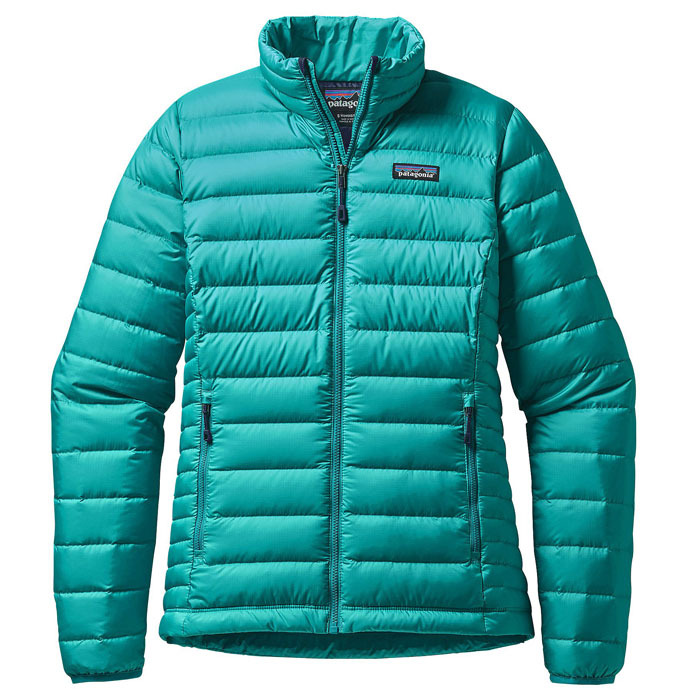 The perfect warmth for just about everything, this classicÂ Patagonia Women’s Down Sweater Jacket is lightweight and windproof with a 100% recycled polyester ripstop shell and 800-fill-power Traceable Down (800-fill-power goose down from geese traced from parent farm to apparel factory to help ensure the birds that supply it are not force-fed or live-plucked, as certified by NSF, an independent third party). $229. Free shipping. Buy here. 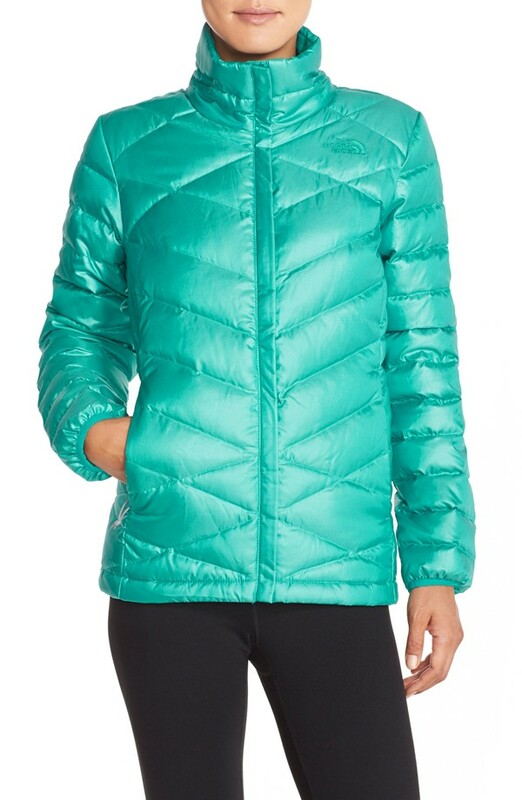 This zip-frontÂ Z By Zella Teal Heart Center Jacket is cut from stretch knit active fabric into a stand-up profile with thumbhole sleeves and topstitched seams. $39.97. Buy here. The one. The only. 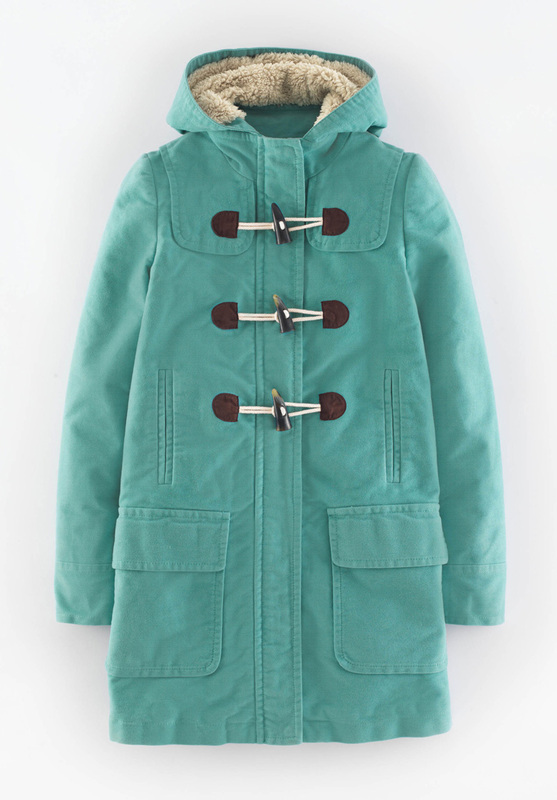 This iconic Duffle Coat is back in schoolyard-inspired colours, with Sherpa lining and preppy details. $198 Sale $138.60. Free shipping. Buy here. 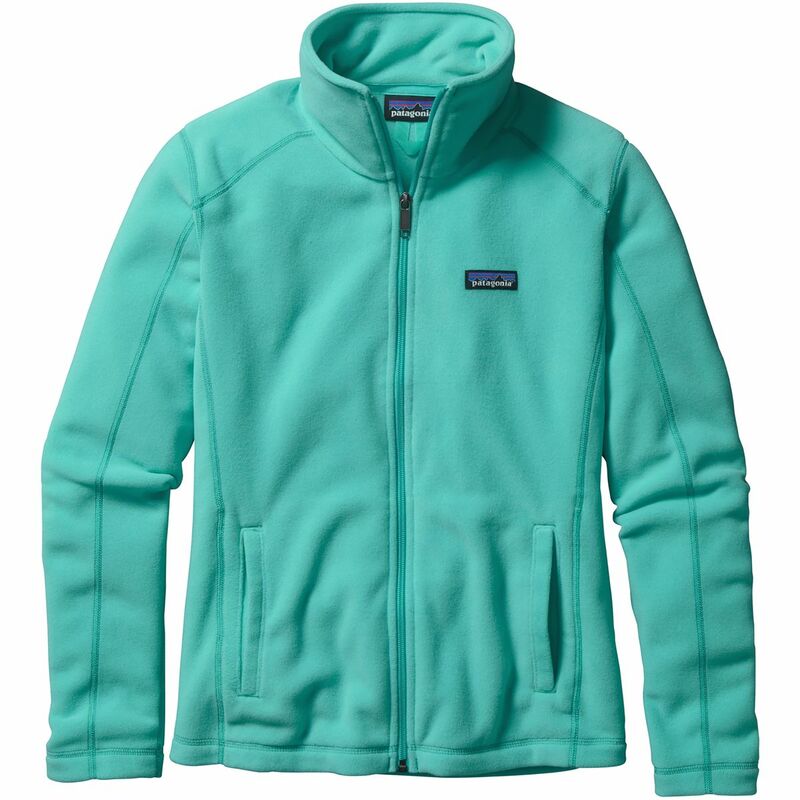 Not only is theÂ Patagonia Micro D Fleece Jacket in Howling Turquoise perfect for casual wear, but its warm and soft polyester fabric, high collar, and thoughtful pockets mean it can layer up under a ski shell or rain coat without skipping a beat, too. No matter how you wear it, you’ll look good and feel great. $89. Free shipping. Buy here. 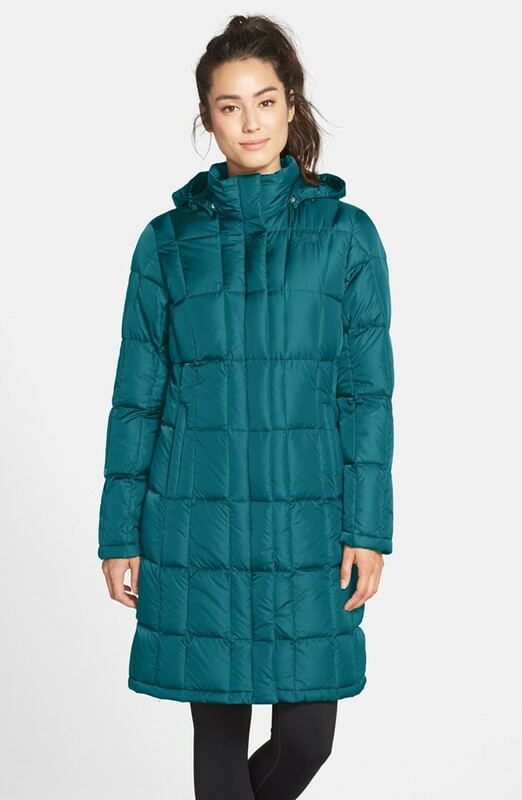 This long, quilted The North Face Metropolis Parka snaps and zips from the neck to the knees to surround the body in cozy warmth. Topped with a toasty hood, it’s contoured for a flattering fit without bulk, while still leaving room to layer. In Juniper Teal. $289. Free shipping. Buy here. Strategic diagonal quilting and a thoughtful cut minimize the puff factor of this sleek The North Face ‘Aconcagua’ Down Jacket, while high-lofting 550-fill-power down maximizes warmth. The satiny shell gives the cozy style a cool downtown vibe. $160. Free shipping. Buy here. 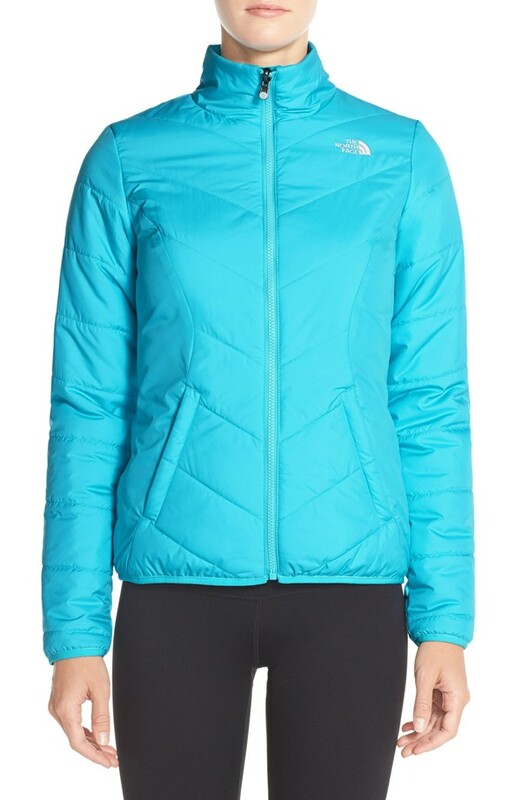 Quilted insulation warms up this lightweight taffetaÂ The North Face Turquoise Rika Jacket coated with a durable water-repellent finish to ward off the elements. $99 Sale $74.25. Free shipping. Buy here. 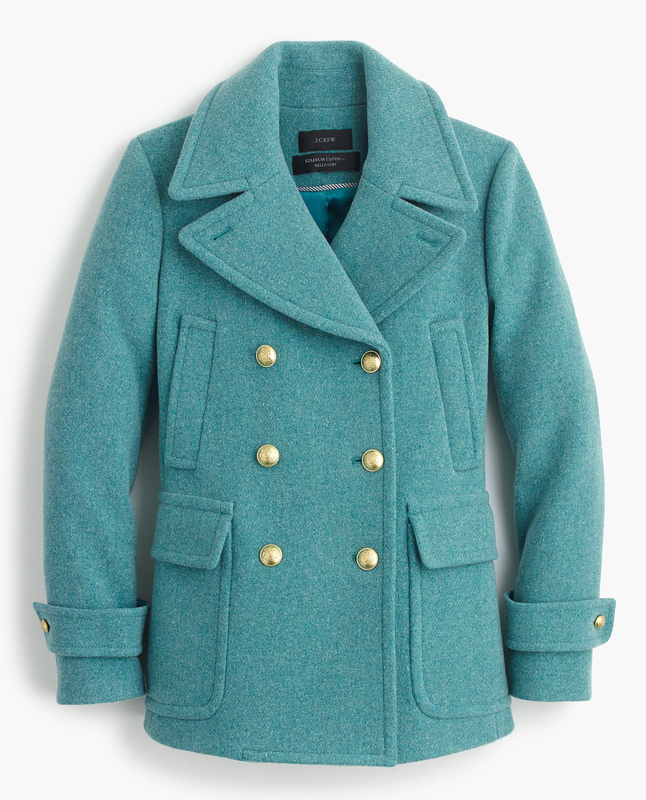 ThisÂ Turquoise Wool Melton Peacoat is a new take on the classic peacoat. It’s crafted from hard-wearing, superwarm wool melton that comes from Italy’s Manifattura di Carmignano mill (famous for its exceptional woolens). Featuring a slightly longer length and a slim, flattering fit. $325. Free shipping. Buy here.